Libraries are selling e-books. What impact will that have on retailers and libraries? In the weekend edition of the Wall Street Journal, an article ran under the headline Libraries Check Out E-Sales. Subscribers to the Journal can view the complete article on-line, but if you haven’t had a chance to read the piece, I wanted to call your attention to it because I think it signals another significant shift in the publishing industry. The lines used to be very clear. Libraries lent books. Bookstores sold books. Then with the advent of online retailers like Amazon, bookstores were no longer the only place to buy books, but the mission of libraries remained intact. They lent books. According to a 2013 Library Journal study, 54% of regular library users had bought a book by an author they first discovered at their library. With this recent development, the lines are blurring once again and I think this is a trend we need to watch. Here are some of the highlights from the article. Roughly 13% of public libraries across the U.S. give patrons the choice to purchase e-books on their websites if a free copy isn’t immediately available, according to OverDrive, an e-book distributor. Library officials said their primary motive was patron convenience; so far, book sales haven’t generated much money for libraries. Offering e-books for sale could also help libraries woo publishers who have been reluctant to make e-books available to libraries for fear it would harm retail sales, according to Maureen Sullivan, president of the American Library Association. The Queens Library expects by the end of June to begin selling print books, e-books and other materials through the book distributor Baker & Taylor, which handles sales for about 60 public libraries. 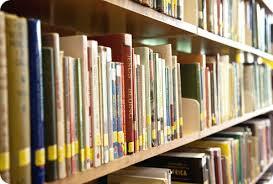 Book sales through libraries so far have been low. More than 35,000 e-book titles supplied by OverDrive are available in the catalog of the New York Public Library. Since February 2012, the library has made less than $1,000 from sales. Libraries are selling e-books and prints books. What impact do you think this will have? While the dollars and units are not significant yet, one other key point made in the article was that according to a 2013 Library Journal study, 54% of regular library users had bought a book by an author they first discovered at their library. So now if you go to the library to look for a book and they don’t have it, instead of putting it on reserve and waiting, you can just buy it. Time will tell what the impact will be on retailers and libraries, but once again the indie revolution makes things better for readers to get content and for authors to get discovered. What do you think? Will this trend develop into something significant or will it have no real impact? Is this good for readers and libraries or does it confuse the mission and roles. Use the comment section to let me know what you think. I personally find this quite fascinating. → Author Cliff Adelman shares what inspired him to write The Russian Embassy Party.